There’s nothing like a stack of pancakes, dripping with maple syrup and topped with crisp, smoky bacon to start a lazy weekend. Or maybe your favorites are cinnamon waffles or fruit-stuffed French toast, hot off the griddle. These simple battered treats are so versatile and can be dressed up in any way you fancy, but Hannah Miles has some wonderful ideas to get you started! Pancakes includes the classic recipes, such as Blueberry Buttermilk Pancakes, and also has some fresh new ideas—pancakes studded with granola make a satisfying breakfast, as do Wake Me Up Coffee Pancakes! Recipes for sophisticated French Crêpes include the traditional Crêpes Suzette with citrus and liqueur, along with Cherry Jubilee Crêpes with the beloved combination of cherry and almonds and chocolatey Nutella Crêpes the kids will love. Waffles range from simple Lemon or Ginger, to the more elaborate Salted Caramel and Pecan Praline, while French Toast is delicious plain (the classic Pain Perdue) or stuffed with myriad fillings—try Pear and Chocolate or Strawberry and Mascarpone varieties. 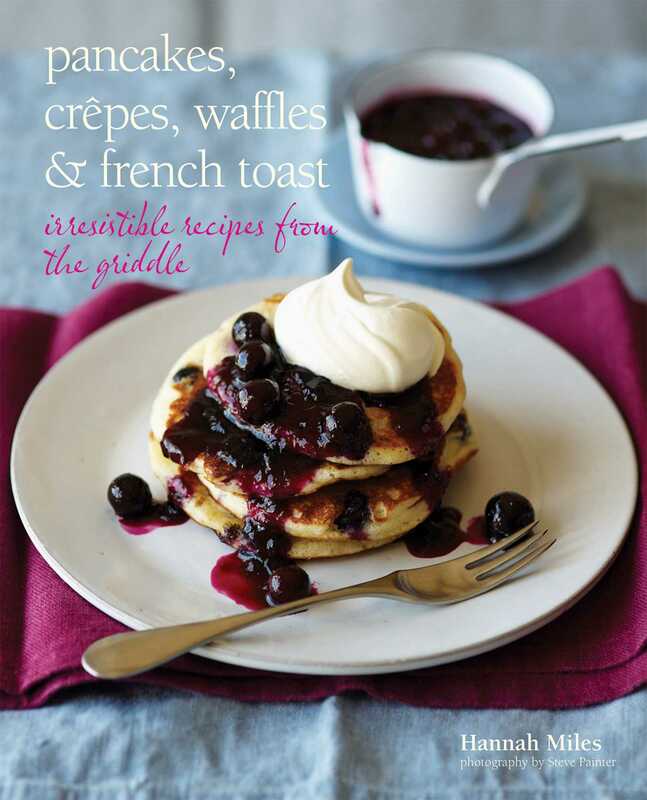 But pancakes and waffles don’t have to be served sweet—they make a fantastic base for some of your favorite Savory flavors: Smoked Slamon and Chive Pancakes, Ham and Cheese Crêpes, and Potato Waffles with Smoky BBQ beans all feature in this gorgeous and truly mouthwatering book.